From her start as a child in a large immigrant family in rural Michigan, Dr. Shaikh went on to obtain triple honors degrees at the University of Michigan in Biology, Anthropology-Zoology and Studies in Religion, a Medical Degree at Rush, and ABFM Diplomacy at Tufts University. She has research experience at Tufts University, the University of Chicago,the University of Michigan and the University of California San Francisco. She was an awarded teacher at Tufts, Harvard and Stanford Schools of Medicine. She received the Doctor of the Year award in 2013 from the California Academy of Family Physicians, and Top Doctor  this year. 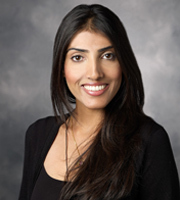 Dr. Shaikh has chaired the Department of Family Medicine for Marin General Hospital. 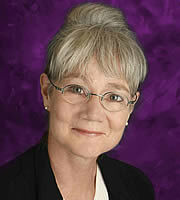 She has over a decade of Board and Committee experience with FQHC, ACO, IPA, Finance and Innovation. She is an active member of Rotary International. She remains a dedicated mother. Dr. Shaikh has special interests and training in gynecology, palliative care, pediatric and adolescent medicine, nursing home care, complementary medicine, dermatology and minor surgical and gynecologic procedures including colposcopy. She speaks some French, Urdu and Spanish. In 2004, she started a program at Soluna through which she offers pro bono health care to hundreds of non or under-insured pediatric and geriatric home bound patients. Dr. Shaikh also founded Mobile Medical team International, a not-for-profit organization that offers medical care, education, supplies and administrative support to populations in Africa and South Asia. To learn more visit www.mobilemedicalteam.org . Through her travels Naureen's heart has remained in Marin, where she has returned to care for its families and community. 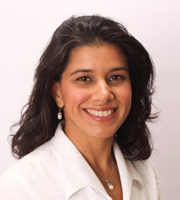 Dr Patel's background includes primary care, boarded and certified in internal medicine with additional training and approach in preventative medicine, nutritional and integrative medicine. She maintains her inpatient skills at CPMC. She has held a faculty position at Stanford. She looks forward to expanding to the community and private primary care inpatient and outpatient setting that Soluna Health and Dr Shaikh offer. Susan Chappell RN, FNP is experienced in working with perinatal care, newborns, lactation, adults and teens from diverse backgrounds, with special training and a passion for gynecology, reproductive healthcare and family planning, perimenopause/ menopause guidance, pre-natal care, management of chronic conditions, and general health maintenance and illness prevention. She believes strongly in partnering with people to achieve optimal long-term health outcomes and in providing holistic, individualized health care. Jared Van Der Beek’s passion is to help people work through their physical, emotional, and mental barriers allowing them to live the life they want and choose to live. Jared works one on one with his patients and tailor makes the treatments by combining the ancient art of Acupuncture and Chinese Medicine with an advanced form of physical therapy not just to treat the symptoms but to get to the root of the problems. 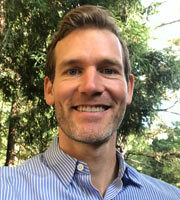 Jared uses gentle manual therapy techniques to engage the specific body tissue that needs support in a way that allows the body to make changes and heal. Jared also uses HeartMath to help patients work through stress and mental/emotional challenges. Jared earned his physical therapy degree at the University of Vermont and masters degree in Acupuncture and Chinese Medicine from the American College of Traditional Chinese Medicine. He has a certification in Integrative Manual Therapy and in HeartMath. You can learn more about him at his website at http://www.physio-puncture.com/. Dr Linda Berry empowers you to transform distress into fuel to power your life and dreams. She knows how because at 24 years old she smashed through a windshield crushing her spine and was paralyzed from the waist down. Before her dream life was shattered, Linda graduated from SUNY Binghamton with a BA in Theater Dance and was blessed to join a nationally-funded modern dance company, The American Dance Asylum. Linda was a woman in motion dancing, choreographing, training in Karate, cross-country running, and teaching dance to gymnastics students. After a year of rehabilitation it was clear she could no longer perform in the world of dance, a world of leaps and pirouettes. She chose to do what helped her regain her health, chiropractic and nutrition. Since then Dr Linda expanded her skills by becoming a meditation instructor, a Certified Clinical Nutritionist, and a Trauma Healing Specialist. Dr Linda’s book Internal Cleansing has been in print for 23 years with a forward by Marin County’s own Elson Haas, MD Staying Healthy with the Seasons. Recognizing the negative effects of stress in herself and her patients, she created “The Inner Smile Trilogy” -- from the Taoist tradition -- for relaxation and rejuvenation. Dr Linda has been featured on ABC, CBS, NBC, and Fox News. Psychiatry and counseling services for patients with non-emergency but unstable mental health needs. Primary Care referral process required. Tom Kowalski OTR/L is a Native of Buffalo, NY. With graduation and training via SUNY at Buffalo, he has held a number of public and private positions as an Occupational Therapist over the past 4 decades. With his prior specialization in Hand and Upper Extremity Rehabilitation, he is the prior Hand Rehabilitation Coordinator for the UCLA Medical Center Microsurgery Replantation Team. His combined research work in Nerve Repairs, Carpal Tunnel and Microsurgery Flaps has been published in the Journal of Hand Surgery, the Journal of Plastic And Reconstructive Surgery and the Journal of Reconstructive Microsurgery. Currently his focus is in Physical Medicine and Rehabilitation for In Home Care Support, Ergonomics and Neuromuscular Diseases. 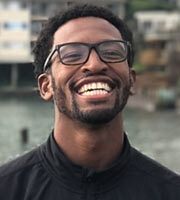 Marcus is a fitness trainer and sports performance coach that has the unique ability to challenge his clients, while making a workout enjoyable. He’s been told that his enthusiasm is infectious! Marcus is certified through the National Council of Strength and Fitness. He enjoys training one-on-one, small group, and large groups. His programs emphasize stability, mobility, strength and conditioning. Marcus’ passion for training stems from his athletic background as a high-level athlete playing NCAA basketball at the division one ranks. He’s converted this passion into helping young athletes and adults recognize their true potential. Syndee Collison, is a Certified Personal Trainer, Group Exercise Instructor, and Nutrition Consultant. 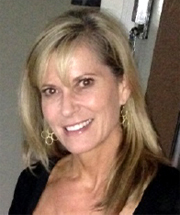 With 25 years experience in the fitness industry, she has successfully worked with clients of all ages and fitness levels, helping them to achieve results even beyond their own expectations. By paying close attention to her clients, looking to ensure proper form, and providing gentle encouragement, she is able to safely guide them past their self-imposed limitations with fun and effective exercise options. It has been her experience, that most clients are physically able to do far more than they think they can. As a result, her clients gain more than just strength and muscle, they gain confidence. Confidence that helps them in many other aspects of their lives. With this confidence and strength, they also gain a far more fulfilling life, allowing them to do and see so much more. Syndee walks the talk; staying very active, teaching fitness classes and cooking classes, running and playing soccer, hiking with her dogs, and walking rescue dogs at the humane society. Syndee loves fitness, loves her clients and it shows. Check it out for yourself and find the fun and freedom in fitness! Sign up for an appointment today. No long-term obligation required, so give it a try. Tarika Lovegarden has been teaching meditation and creating guided meditation programs for 24 years in the USA, Europe and India. 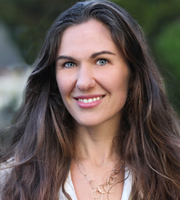 She is a meditation instructor at Stanford University and has guided meditations for corporations such as the Young Presidents’ Organization, Ebay, and Atlassian software. Tarika’s meditations are experiential, fun and engaging. She eloquently presents techniques that are innovative and down-to-earth. Drawing from a range of meditation methods, she’s responsive to her audience and tailors each presentation to their needs. 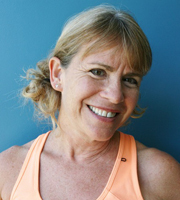 Lauren Ziegler is a certified Yoga Therapist with the International Association of Yoga Therapists. Yoga therapy is the adaptation and application of yoga techniques and principles to help individuals facing health challenges at any level manage the condition, reduce symptoms, restore balance, increase vitality and improve attitude. Lauren loves helping people feel better by resolving pain, stress and anxiety. 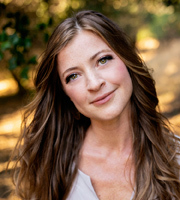 She's highly trained in a variety of approaches to yoga therapy and will use an intelligent; individualized approach that works to create healing and change, while eliminating suffering. Through her 9 years of teaching, her rigorous studies, and her own experience recovering from chronic pain — she has developed a refined style that's deeply compassionate, blissful and effective. If you would like, you can check out her website here. 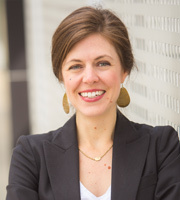 Katie Schmidt guides clients through the process of establishing a sustainable, satisfying relationship with food and body. She is a trusted partner for clients on their health journey, encouraging them to take one baby step at a time. Through consultations and assignments, clients find the foods right for their own body and health challenges by forming mini habits in daily life that strengthen digestion and the mind-body connection, by learning to adopt a non-diet mindset and intuitive eating strategies to boost eating intelligence and nutrition, and by increasing awareness of how areas of daily life outside the kitchen contribute to health, well-being, and influence choices in the kitchen. Shanna Padilla is an Medical Assistant at Soluna Health. She holds a certificate of completion in the MA program from Everest College of San Francisco, CA, and holds the NCCT Certification for medical assisting as well. As a young girl Shanna spent most of her time at her grandmothers clinic learning about medicine. Shanna spent many years with her grandmother learning how to administer injections, I V's, draw blood, and keep patients calm during procedures. Her passion for medicine is far from being fulfilled. Shanna intends to go back to school and become a doctor herself one day. Until then, you can find her and her wonderful personality and smile right here at Soluna Health. 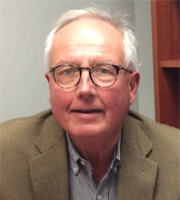 James cared for our patients, worked industriously and with dedication - an honorable and kind soul. 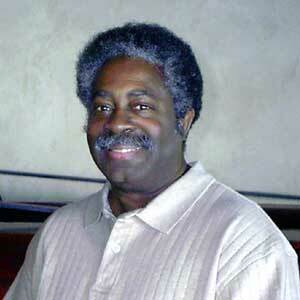 James died in a hit-and-run collision in daly city on Wednesday, May 7, 2008. We wish him and his family peace. We love and miss you james. Your light and love are felt with us always.